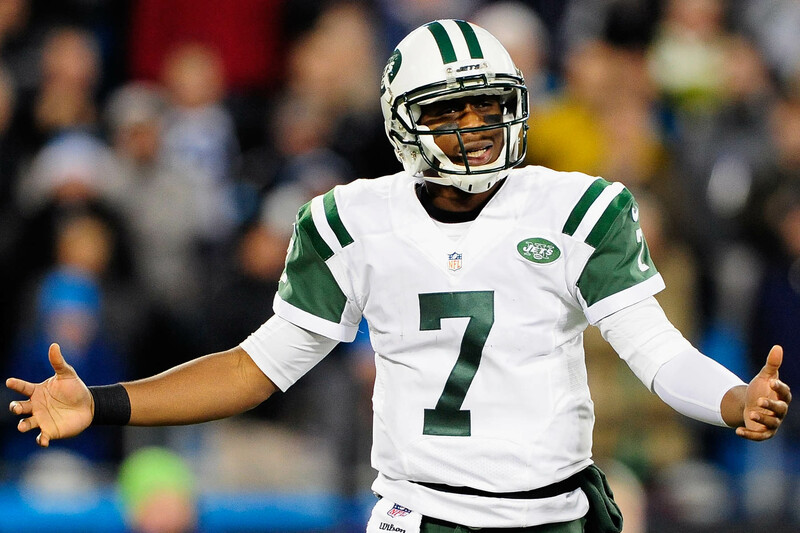 Geno Smith is heading in to training camp as the starting quarterback for the Jets. How long that will last remains to be seen with Mike Vick right behind him and Rex Ryan’s job on the line. Neither one are ideal dynasty buys – Smith because of his lack of talent and Vick because of his age. Eagles linebacker Mychal Kendricks apparently played through a thumb injury last season that required him to be in a cast for a month this off-season. Despite that, he was still a top-20 IDPer and should stay there now that he’s healthy. 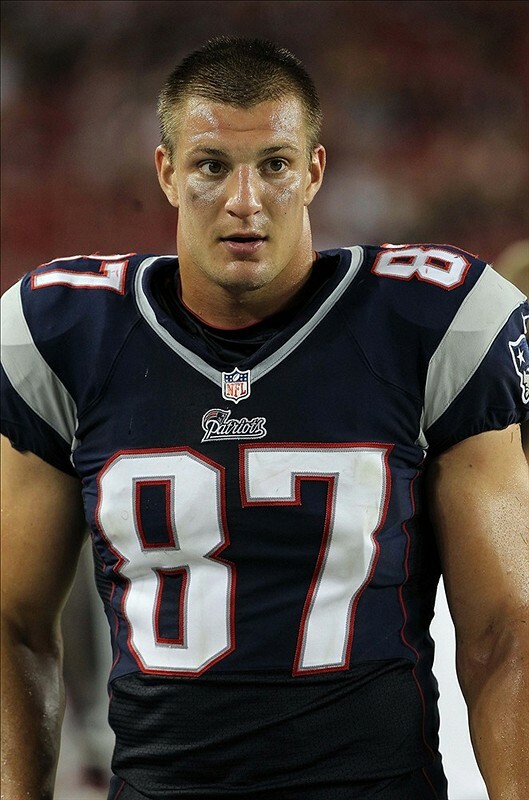 Patriots tight end Rob Gronkowski isn’t sure if he’ll be ready for the season after tearing his ACL in December. The news shouldn’t surprise anyone and further enhances my belief that he’d be a decent sell candidate. You just don’t know what you’re getting or when you get it. 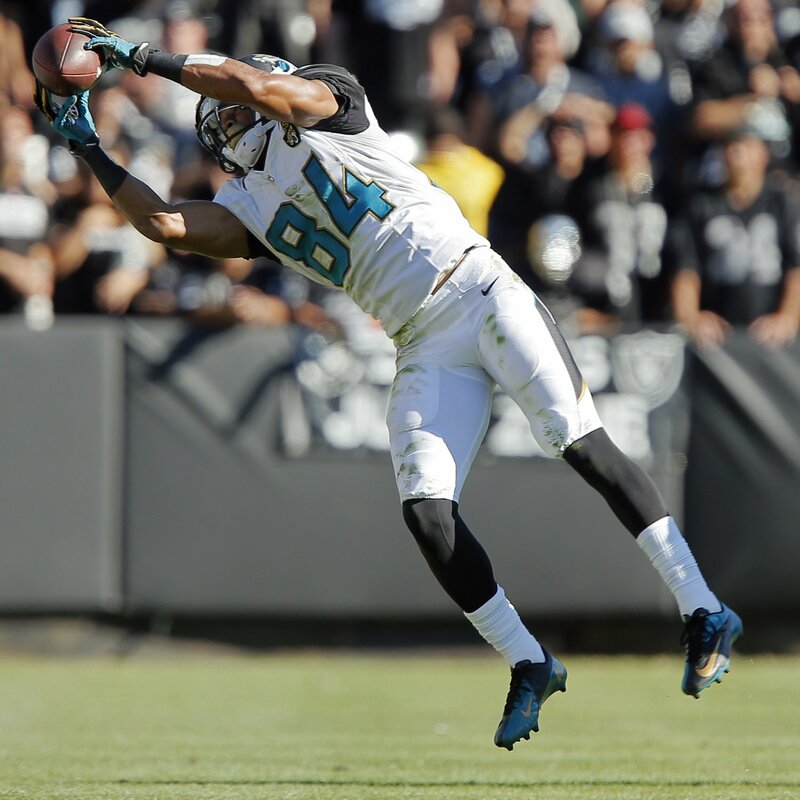 The Jaguars are expected to make Toby Gerhart a work horse this season. His role is set up a lot like Michael Turner’s in Atlanta where current Jaguars general manager Dave Caldwell used to be. 49ers linebacker NaVorro Bowman isn’t expected to be ready for Week 1 and should be considered more likely to be back in the middle of the season. Bowman might be a decent buy-low candidate for a team that’s in win-now mode. The Raiders finally sent quarterback Terrelle Pryor out-of-town, trading him to Seattle for a seventh round pick. Expect Pryor to play all over the place but not to be a solid dynasty contributor. Giants running back David Wilson expects to be cleared by OTA’s next month. It’s a great sign for Wilson but carries a huge risk for himself and dynasty owners. With the signing of Rashad Jennings in New York, it’s no guaranteed Wilson sees meaningful playing time even if he comes back. Bears linebacker Shea McClellin is taking the switch to the position seriously after intense training for it this off-season. He’s a sleeper LB in IDP dynasty leagues in 2014. Chiefs tight end Travis Kelce is progressing well from surgery last season. Kelce was high on dynasty mock drafts last year after being drafted in the third round. He was slated to be the third option in the Chiefs offense before going down with the injury. With no apparent upgrades on offense, expect Kelce to reclaim that role. 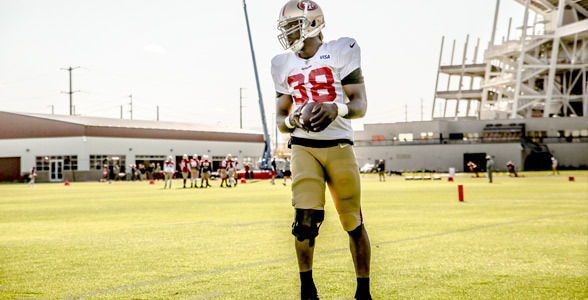 49ers running back Marcus Lattimore says he’s ready to go. Lattimore sat out all of 2014 with a knee injury he sustained in college but should challenge both Frank Gore and Kendall Hunter for carries. While Mason Foster’s hold on the middle linebacker position in Tampa’s new defense initially looked shaky, it appears he’ll get first crack at the position. Foster came on strong in IDP leagues last year and should replicate that success. He’ll be an ideal LB3 heading in to 2014. 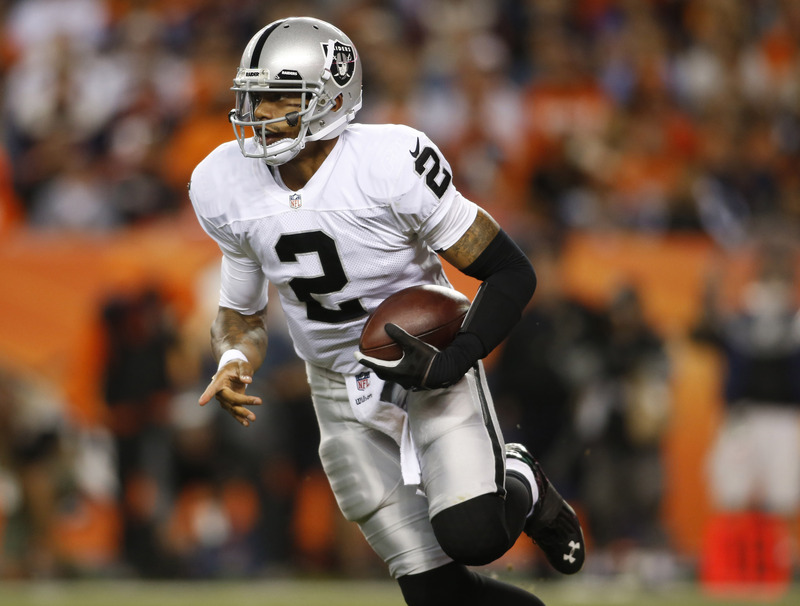 The Raiders are fully expected to waive quarterback Terrelle Pryor today. No one really knows what the Raiders plan is but it apparently doesn’t involve Pryor. And if you can’t make it Oakland, you probably can’t make it anywhere. In other quarterback news, it’s going to be an open competition in New York between Mike Vick and Geno Smith. This won’t help dynasty drafters but neither were supposed to be hot dynasty commodities anyway. One change in the top five as Julio Jones enters the top five. Calvin Johnson, A.J. Green, Dez Bryant, and Josh Gordon precede Jones. 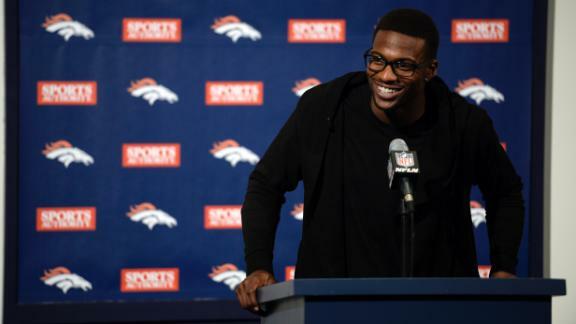 Big risers this month include new Bronco Emmanuel Sanders to 45th from 55th thanks to having Peyton Manning as his quarterback; Eagles receiver Riley Cooper moves to 52nd from 60th thanks to the trade of DeSean Jackson; and finally Packers receiver Jarrett Boykin to 58th from 68th thanks to James Jones’ departure. The big drops this month include Saints receiver Marques Colston from 42nd to 50th thanks to the Saints more balanced offensive approach; the Vikings’ Greg Jennings drops from 43rd to 51st; finally Steve Smith drops from 58th to 70th thanks to his probably reduced role in Baltimore.